Online Presale: $18 General Admission; $15 BDA/Student/Senior/Military Purchases at the Door: $20 General Admission; $18 BDA/Student/Senior/Military *Groups of 10 or more who purchase tickets in one transaction will receive a 20% discount on the full order (online only). Please contact kristin@dancecomplex.org for more information. Experience in Motion is both music concert and dance concert. 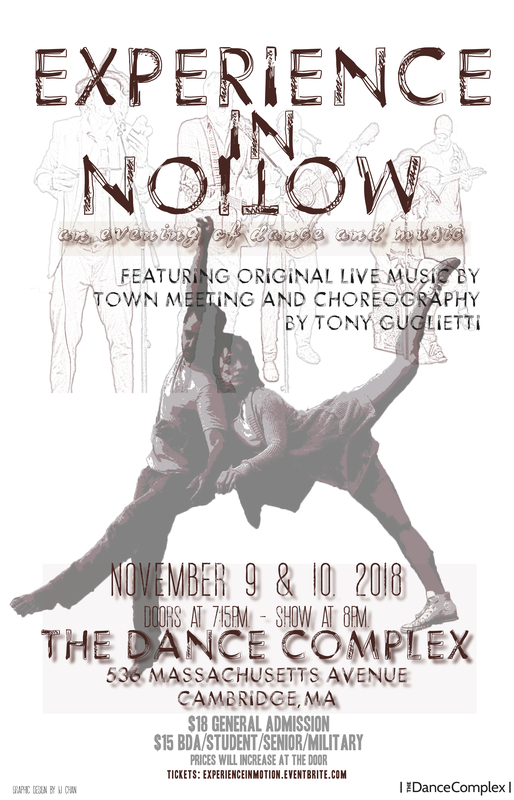 Featuring original music by local folk/Americana band Town Meeting, and original choreography by Tony Guglietti, formerly of Sean Curran Company, this evening will pair live music and dance for a seamless blending of movement and sound. Town Meeting prides themselves on being a band that is better seen than just heard: they are dedicated to providing audiences with a full auditory, visual, and emotional experience. A series of dance vignettes will accompany the music, pulling from the band’s energy to create equally dynamic movement. The full effect will cultivate a unique and highly accessible dance viewing experience to be enjoyed by both dance and music enthusiasts alike. 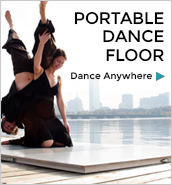 Arrive early and enjoy the band while showing off your own dance moves on the floor! The bar will be open in the theater throughout the performance, and the dancers look forward to busting a move with you following the show!